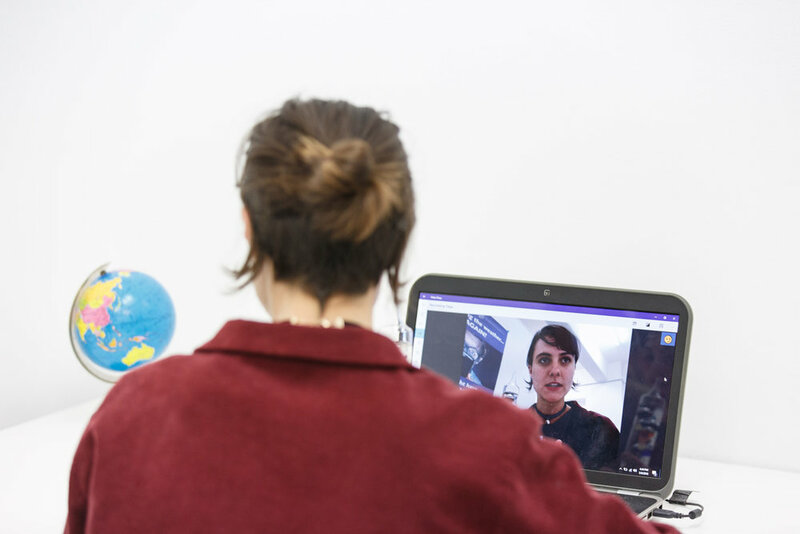 Bureau of Meteoranxiety will be opening its doors to the public on Thursday 10 May from 6–8pm and will be offering free 10 minute introductory group tours of the bureau. Bureau of Meteoranxiety is presented as part of NEXT WAVE Festival 2018 and assisted through City of Melbourne’s Creative Spaces, the Australian Government through Australia Council, its arts and funding body and the Government of Western Australia through the Department of Culture and the Arts. As climate change wreaks havoc on the planet, so too it inflicts turmoil on our psyche. Bureau of Meteoranxiety (BoMa) is here to help. 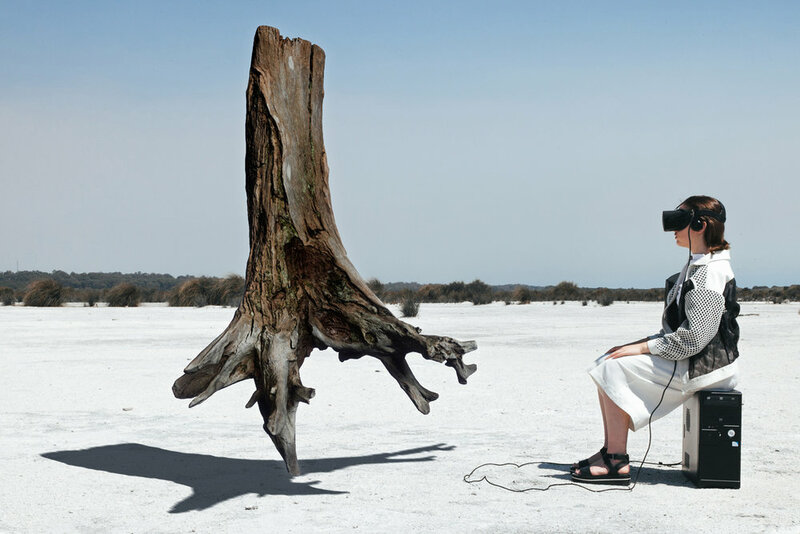 In this future-focused live art experience, Perth based artists Alex Tate and Olivia Tartaglia create an agency designed to address symptoms of climate change fear. 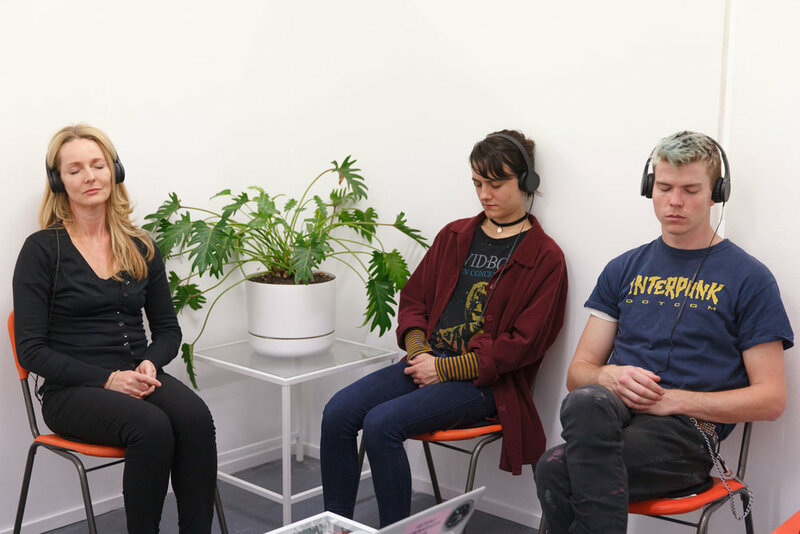 Expose your woes to experimental visual therapies and sensory remedies. Beware of technical glitches and hyperbolic emotional responses – BoMa is in beta phase. Bringing ecoanxiety into sharp view, this immersive, thought-provoking work offers participants new language and coping strategies to help stay above the metaphorical and literal flood line. Olivia Tartaglia and Alex Tate are emerging artists from Perth, Western Australia, exploring futurism, ecotechnology, and the Anthropocene through collaborative interactive installations. Olivia works with installation and textiles, drawing inspiration from 70's sci-fi concept art and film. Aside from her individual arts practice she works as a set and costume designer for theatre productions, most recently alongside choreographer Michelle Aitken on her performance work Future's Eve. 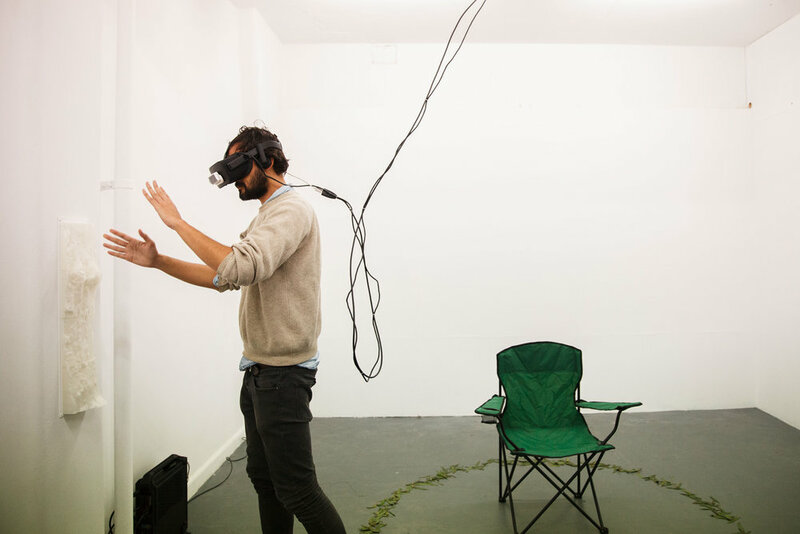 Alex works with traditional digital technologies including photo and video and explores the creative possibilities of 3D game engines and virtual reality technologies to examine relationships between the virtual and the natural worlds. Recently, the focal point of Alex Tate and Olivia Tartaglia's collaborative art practice (embodied by the Bureau) has been the idea of meteoranxiety - a form of ‘pre-traumatic stress’, which Perth-born environmental philosopher Glenn Albrecht says we are experiencing as we witness world leaders, colleagues, friends and even ourselves ignore the obvious warning signs of Climate Change. IMAGE | BoMa, 2017. Photograph Michael Tartaglia, Courtesy the artists.